We arrived in Monterey a little too early to check into our hotel room. So we parked on the main drag and went in search of a wine tasting room. The first one we came to was Taste of Monterey. This was our first actual wine tasting room not associated with a specific winery, but rather showcases the wines of Monterey. The tasting area is at a little bar in the back that looks out onto the harbor. Our guide was very nice, not overly friendly, but she got the job done. She let me take photos for my blog post, and out of all of our wine tastings, she was the only one who didn’t seem to care that this was going to be blogged. She didn’t give us any extra tastings or be extra friendly like the other wine guides did. There are two tasting options – A Monterey Sampler Flight $10 (waived with the purchase of two bottles) and a Reserve Tasting Flight $20 (waived with the purchase of two bottles). We opted for the first choice. My notes suggested that we liked all of the wines, so I will refer to the descriptions as they are listed on the tasting guide. 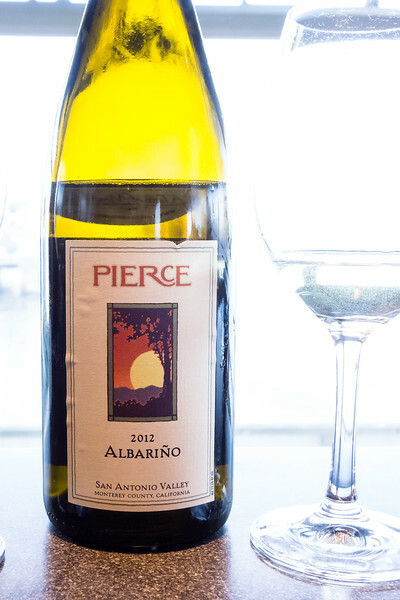 First was a 2012 Pierce Ranch Albarino – glass $8.00, bottle $16.00. With the rich aromatics, crisp acidity, and minerality that are the signature of the variety, it features notes of apple, pear, peach, and citrus. (I noted that I thought it was excellent). 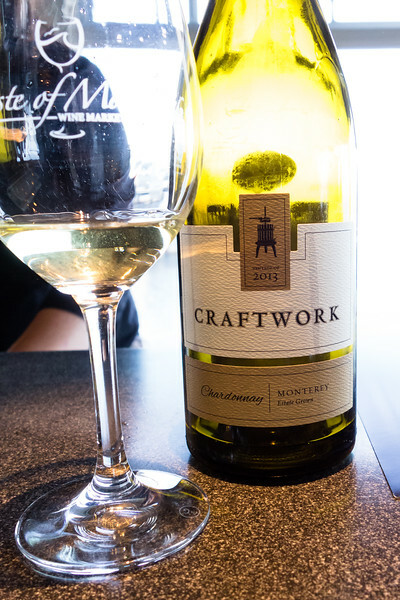 Second was a 2013 Craftwork Chardonnay. Glass $9.00, Bottle $20. Aromas of pineapple and pear are followed by a lively blend of tropical fruit and citrus flavors. This chardonnay strikes the perfect balance of a rich, creamy palate with firm acidity. 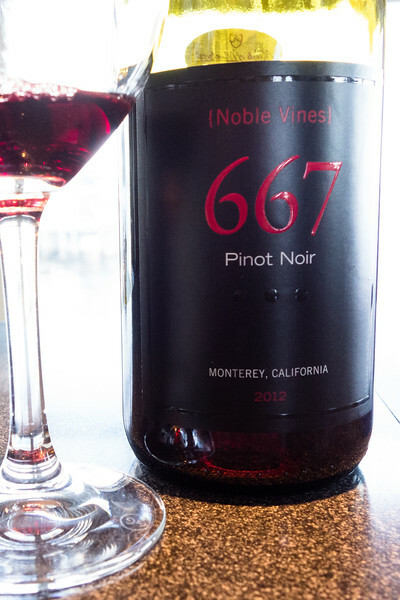 Next was a 2012 Noble Vines 667 Pinot Noir. Glass $8.00, Bottle $16.00. Appealing aromas of black cherry, earth and a touch of vanilla. Plush tannins and balanced acidity support core flavors of ripe Bing cherry, bittersweet cocoa powder, and delicate hints of sage. 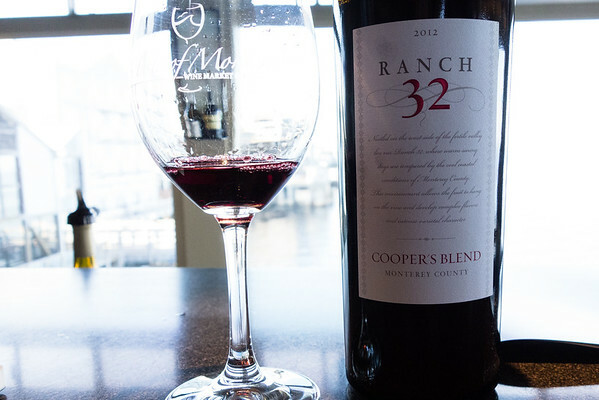 Next 2012 Ranch 32 Cooper’s Blend. Glass $9.00, Bottle $20.00. This is a wine of complexity and structure, with layer after layer of flavor: dark fruit, and cherry with subtle spice notes. 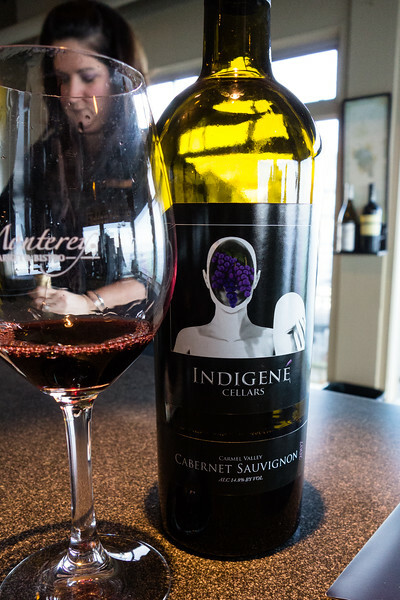 Last was a 2007 Indigene Cabernet Sauvignon. Glass $10, bottle $29.00. Complex waves of blackberries, mocha, currants, cola and spices, although the fruit is beginning to move into drier, secondary characteristics. It’s delicious, and fully ready to drink now. All of the wines were good, however this was probably our least favorite of our wine tastings. We prefer a single vineyard tasting room, they seem to have more passion and care more about the wine. This was fine and if you are looking to get a sample of Monterey wines and not limit yourself to a particular vineyard, then this might be just what you are looking for. I love Albarino’s. Didn’t realize there were California varieties. Sounds like a wonderful trip. This was the first time I had ever had an Albarino! I loved it!